Sometime around 1190 AD in Italy, a man named Laurentius Loricatus was born. Trained to be a soldier, Loricatus killed someone by accident and was stricken with remorse. Loricatus became a Benedictine monk and lived 34 years as a mountain hermit. A 16' long parchment telling his story was written about a year after his death, in In 1244 AD. In 1778, Pope Pius IV beatified him. With the aid of officials at the Vatican, a research team from Tor Vergata University in Rome recently gained access to this treasure in the Vatican Secret Archive. The team uncovered a microbial tale hidden beneath the ink, using an integrated technical approach. The researchers published their findings in the journal Scientific Reports. Using this parchment, scientists wanted to understand the origin of purple stains to the original document you see in the image above. We know time and weathering damages old documents and books — but what turned this parchment purple? In this case, researchers analyzed select pieces of parchment that had separated from the main piece and were impossible to restore. These included sections with and without staining that made the text difficult to read. DNA was extracted, sequenced, and further analyzed through several microbial, physical, and chemical processes. The production process of parchment turns out to have a lot to do with how it ages — and decays. This 13th-century parchment is made from the dermal layer of an animal skin, from a calf, goat, or probably, a sheep. The skin is processed and scraped to remove hair and preserve the hide. According to study authors, Italian crafters would have used readily available sea salt to dry-salt the skin or immersed it in a vat of seawater brine to preserve it. The crafters then limed the parchment and stretched it to further condition and shape it into a thin, fine, writing surface. The parchment was cut, rolled, and stored — ready for use, in this case, in a monastery. Before the monks applied ink to the parchment, the piece would already have carried microbial passengers. "Halotolerant" bacteria, including microorganisms like Vibro (several species of which cause serious illness, like cholera) which can tolerate high salt levels, came aboard when the crafters soaked the skin in salty seawater. 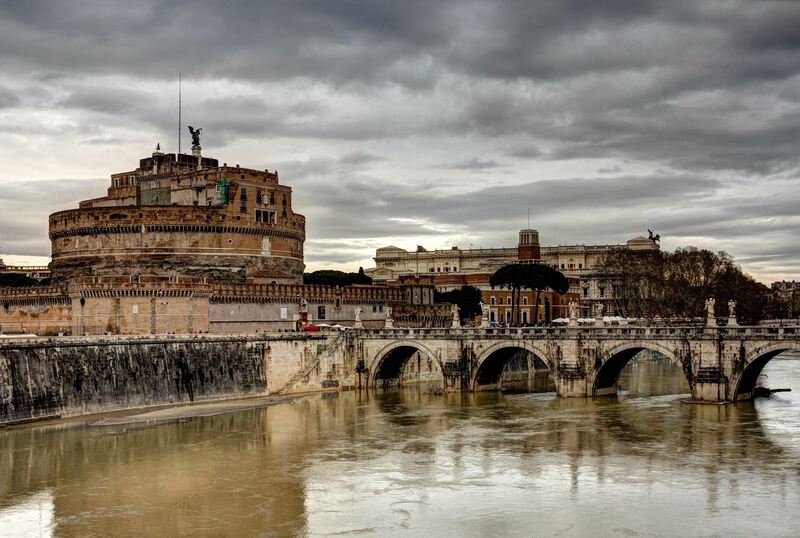 This particular parchment was stored until the end of the 18th century in the Castel S. Angelo, or Mausoleum of Hadrian, that was subject to flooding from the Tiber River, potentially exposing it to contamination by other bacteria and fungi. 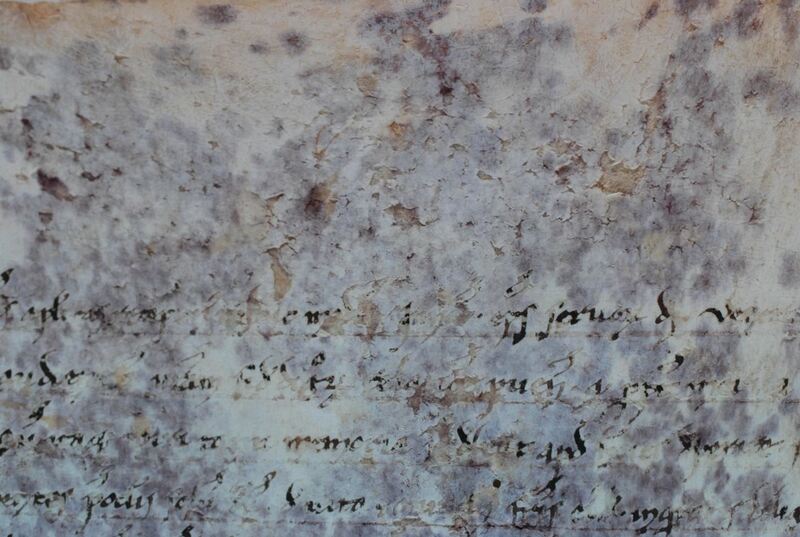 Research on the parchment showed exposure to environmental moisture allowed successive generations of microbes to call the parchment home including the original Vibrio microbes that left behind the purple stains. The research paper also suggests microbe growth on the parchment added to its fragile texture and loss of writing on the flesh side of the parchment. After the salt-tolerant bacteria subsided, the researchers believe that bacteria consistent with freshwater exposure and additional bacteria from humans, like staphylococci and Actinobacteria, infiltrated the parchment. Other bacteria arrived through the settling of dust on the parchment. The sequence of successive populations of bacteria in the parchment, plus the later drying of the piece, created the current cracked and detaching landscape of the present-day parchment. 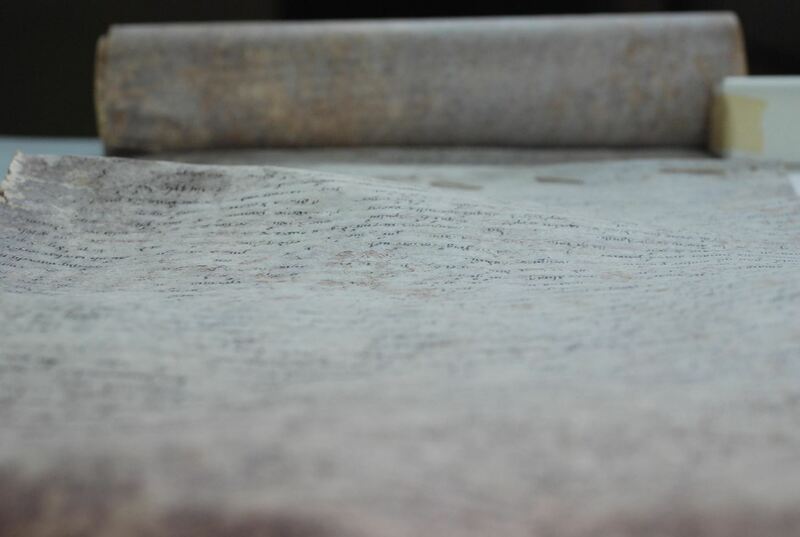 The take-home point of the research is the utilization of multiple tools that enabled the story of the parchment to be found in the stains and the skin itself. In the paper, the authors note the "integrated approach including physical, chemical and microbiological tools, has been able to give a detailed picture of the processes and actors of the bacterial alterations found on the ancient parchment." They also suggest the information could help them identify the pigments that make up the purple stains and find new methods of restoring similar priceless, ancient manuscripts. In the 13th century, scholars took ink and parchment in hand to memorialize the life of Laurentius Loricatus. In 2017, scholars used tools and processes to identify and decode the almost-invisible life that lived in the parchment, to better understand a man whose life is recorded on it.